One of my main complaints about a lot of current novels is that they're too blasted long. So an anthology like this is a great thing for me, allowing me to sample the work of quite a few authors I've been meaning to try without having to commit to a doorstop of a novel. I wasn't too sure about the idea of writing thrillers as short stories -- the thriller genre seems to need a bit more scope than that, at least novella-length -- but most of the authors represented here pull off the trick very neatly. 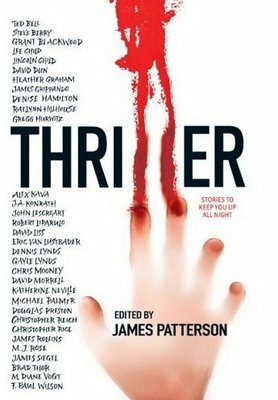 Another nice thing about this anthology, and the whole concept of "thrillers" as defined by International Thriller Writers, Inc., the book's sponsor, is the variation in the types of stories allowed in that genre. While it's true that this particular anthology skews toward espionage yarns and legal thrillers, there are several historical stories, including Ted Bell's excellent "The Powder Monkey", featuring pirates, sea battles, and sword fights; and at the other end of the spectrum we have the vaguely science-fictional, action-packed "Kowalski's in Love" by James Rollins. "James Penney's New Identity" by Lee Child -- People have been recommending Child's books to me for years, and based on this story, they were right. I really enjoyed his style. This one ties in with his Jack Reacher books, which I intend to read soon. "Interlude at Duane's", F. Paul Wilson -- Likewise, friends keep telling me I need to read Wilson's Repairman Jack novels. Again, based on this story, they were right. It's an urban shoot-em-up, as action-packed as the Rollins story. I have a copy of THE TOMB. Got to get to it soon. "Success of a Mission", Dennis Lynds -- No surprise I'd like this story by Lynds. He's been one of my favorite authors for many years. Decades, actually. "The Athens Solution", Brad Thor -- I've read Thor's first novel featuring Secret Service agent and counterterrorism expert Scot Harvath, THE LIONS OF LUCERNE, and liked it quite a bit, although I thought it was about twice as long as it needed to be (there's that gripe again). Harvath's a really good character, and this story is nice and tight, with a decent twist in the plot. I also liked the stories by Steve Berry, Grant Blackwood, Gregg Hurwitz, J.A. Konrath, and M. Diane Vogt, and most of the others were pretty good, too. I've only read novels by three of the authors represented in this anthology -- Dennis Lynds, David Morrell, and Brad Thor -- but I intend to remedy that where some of the others are concerned. This is the third book in the Lou Largo series. Some sources say that William Ard started it and that it was finished by Lawrence Block after Ard's death. Other sources give sole credit for it to Block. The copyright is by the Scott Meredith Literary Agency, so it's not surprising that Block would be involved, even if the extent of his involvement isn't known for sure. Lou Largo is a New York private eye with all the usual attributes. He's big, tough, ruggedly handsome, and irresistible to the ladies. In this book he gets mixed up with a pair of beautiful Hungarian sisters, LiLi and LuLu Kovar, who are pretty blatantly based on the Gabor sisters. Famous actress LiLi Kovar is in some sort of trouble, and Largo is hired to accompany her on a trip to Germany, where she's supposed to make a movie, so that he can protect her and find out what's wrong. There's not much mystery here, as the plot is revealed to the reader very early on: LiLi is being blackmailed by Soviet agents who are threatening the life of her father, Hungarian resistance leader Stephen Kovar, who has been in a Budapest prison for the past five years. Most of the book takes place on board a ship crossing the Atlantic, bound for Germany. There are several murders, a couple of attempts on Largo's life, and numerous beautiful babes trying to get into his bed. Eventually everybody winds up in East Berlin, where a shootout finally resolves everything. Sometimes I think that I'm too caught up in nostalgia, too willing to overlook the flaws in older books and too quick to criticize current ones. But then a book like this comes along to prove that's not true all the time. 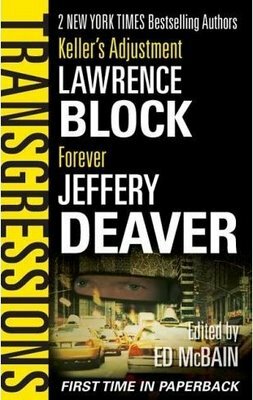 This is not a very good book at all, and if I hadn't known that Lawrence Block had something to do with it, I never would have guessed at his involvement. Other than a few nice turns of phrase, this is thoroughly undistinguished stuff, and I had to struggle to finish it. Decent imitation McGinnis cover, though. At least I think it's an imitation and not the real thing, but I'm not enough of an expert on cover art to be sure. Some of the other Lou Largo books may be better, but I didn't care for this one. The new issue of Hardluck Stories, Dave Zeltserman's fine on-line magazine, is now available. This is the Western Noir issue and features stories by guest editor Ed Gorman, Bill Crider, Norman Partridge, Jon Breen, Harry Shannon, Trey R. Barker, T.L. Wolf, Jeremiah Healy, Bentley Little, Steve Hockensmith, Jerry Raine, Jan Christiansen, Terry Tanner, and me. My story, for those of you who have read some of my short fiction in the past, is another yarn about Captain Rip Ford and the Old Company of the Texas Rangers, set in Texas in the 1850s. This is a fact-based series for the most part, but I've taken considerable liberties with history in this one, which is called "The Conversion of Carne Muerto". I'll be reading the rest of the stories later today and am looking forward to them very much. 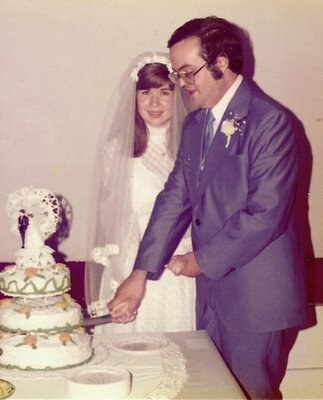 It doesn't seem possible that thirty years have passed since this picture was taken. It sure doesn't feel like that long ago. Thanks to everyone for the good wishes. 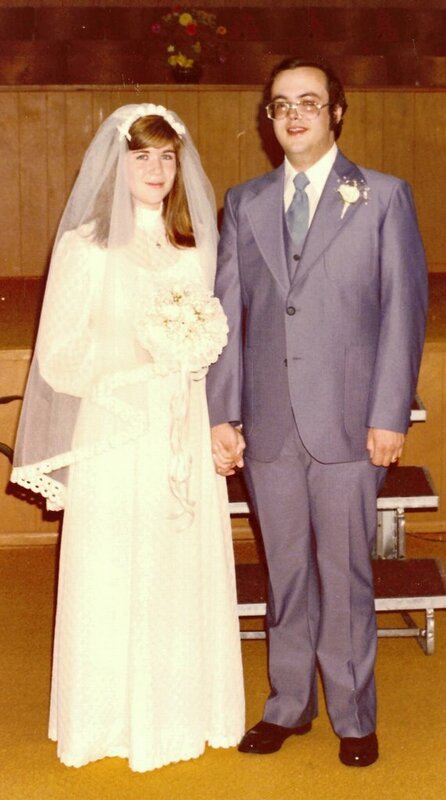 We didn't have a honeymoon because we got married on Saturday and she had college classes to attend on Monday. Or maybe it was registration. I'm a little fuzzy on that, but hey, it's been thirty years. We still haven't taken that honeymoon. Maybe one of these days. On our 20th anniversary, an editor called that day and said he needed a proposal we were working on as soon as he could get it. So we spent all day writing, took the proposal to Fort Worth late that afternoon, and sent it UPS overnight. Of course, it didn't sell. On our 25th anniversary, another editor called that morning and wanted me to do some revisions and fax them to him that day. For one of the few times in my career, I told an editor, "Nope, not gonna do it. They'll have to wait until tomorrow." When I explained the circumstances, he agreed. Today I didn't write anything -- but I did edit three chapters this afternoon. When we got married, we moved into an apartment built onto the side of an old rock house that had been there a hundred years or so. It was on top of a hill with a nice view of the lake a couple of miles away. We had one phone, two TVs, and a manual typewriter. I worked for my dad, running the office in his TV repair shop, and wrote movie reviews for the local weekly paper while I was also trying to sell short stories. I probably wouldn't have stuck with it if Livia hadn't encouraged me and believed in me. I know it's a cliche to say that I owe it all to her, but in this case it happens to be true. Just some musings on a hot day in Texas. Since it's after midnight, it's officially our anniversary. Here's one of the pictures from that day. I was in the mood to read a vintage hardboiled paperback, and this is what came to hand. 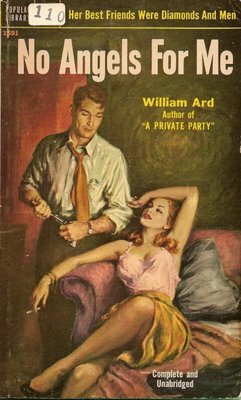 I'd never read any of William Ard's mysteries before, but years ago I read all the Westerns he wrote under the name Jonas Ward. He created the long-running Buchanan series and wrote the first five books featuring the character (one of which was made into a movie starring Randolph Scott). 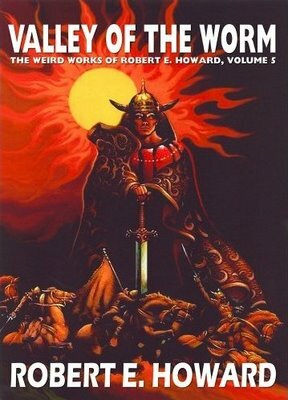 Ard died during the writing of the sixth book, which was completed by Robert Silverberg, and then the series was continued by Brian Garfield (one book) and William R. Cox (all the others), with Jonas Ward becoming a house-name. But I'm getting off the subject here. I knew that Ard wrote mysteries as well as Westerns and have half a dozen of them on my shelves, including NO ANGELS FOR ME. The hero of this one is New York private detective Luke MacLane, who works for the All-States Detective Agency rather than being a loner PI like so many. But all the other usual elements of the genre are here. The book opens with MacLane identifying the body of a fellow PI for All-States who had been on the trail of some stolen diamonds. Vowing vengeance for his friend's murder, MacLane sets out to track down the killer as well as the loot from the diamond heist. Along the way, assorted beautiful women in varying stages of undress throw themselves at him, he gets hit on the head, drugged, and taken for a ride, and there are double-crosses galore. This sounds pretty hokey and cliched now, but it probably wasn't in 1954, when this book was published. It takes a good writer, though, to overcome the stereotypes and make a book like this hold up today, and Ard wasn't really that good. I wouldn't recommend this book to anybody who is used to reading only current PI novels. As for me, though, I enjoyed it quite a bit. There are some nice turns of phrase here and there, the action scenes are good, and even if beautiful women really don't throw themselves at private eyes all the time, I want to believe they do. 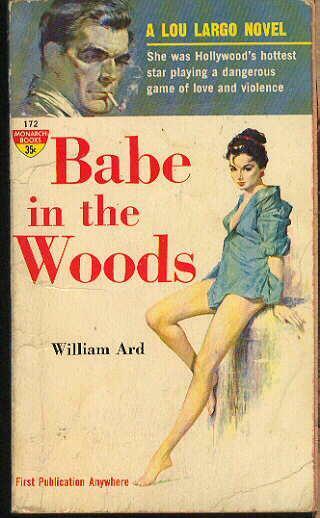 I wouldn't hesitate to read another of Ard's mystery novels. VALLEY OF THE WORM, the fifth book in Wildside Press's ten-volume collection of Robert E. Howard's stories that were originally published in WEIRD TALES, is out now. I mention this not because the stories included in this book are particularly good (although they are), but because I wrote the introduction for this one. I've never pretended to be a Howard scholar, or a literary critic of any kind, but I think this is pretty good essay about one of the themes that figures prominently in Howard's fiction. The cover art is by Stephen Fabian. And as mentioned above, you can't go wrong with stories like "The Valley of the Worm", "Black Colossus", and "Old Garfield's Heart". Nobody writes Westerns quite like Ed Gorman. There’s little of the mythological West about them. Reading his novels, you get the feeling that if this wasn’t the way it really was, it sure could have been. And few authors have combined elements of crime and mystery fiction with the Western as successfully as he has. 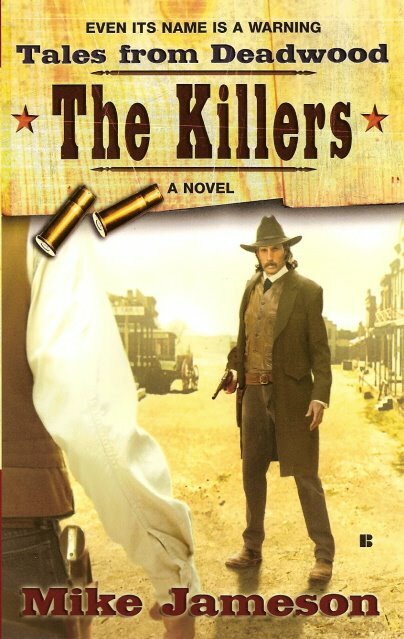 Published by Berkley Books in 2003, this novel is set in Skylar, Colorado, where the town marshal, Lane Morgan, has an ongoing feud with the richest and most powerful man in town, Paul Webley, over a shot that Webley’s son took at the marshal while he was drunk. Webley is determined that his son won’t go to jail for this offense or even face charges, and this determination leads to blackmail and a murder in which Morgan’s wife – who is not without some secrets of her own – is the main suspect. That murder is only the first of several more deaths, though, before Morgan finally sorts everything out. 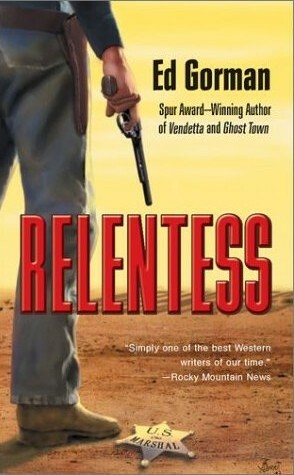 There’s not much action in RELENTLESS, but the action scenes that are there are very effective. There’s also plenty of rich characterization, a nice twisty plot, occasional flashes of humor, crisp prose, and the sort of bittersweet melancholy that’s a hallmark of nearly all of Ed Gorman’s fiction. This is an excellent novel. As most of you no doubt already know, Bill Crider recently posted a couple of slideshows of covers from men's adventure paperbacks, which you can see here and here. I came across this blog devoted to the same subject, which features quite a few cover scans and reviews of the books, some of them from fairly obscure series that didn't last very long. Lots of interesting stuff here if you enjoy the men's adventure genre, which I certainly do, having contributed to it in my own small, pseudonymous way, as well as reading a bunch of those books over the years. Yesterday our daughter Shayna graduated from college with a degree in biochemistry. Don't ask me where she got enough science knowledge to do that, because it sure wasn't from me. Mr. Wizard I ain't. And while she's not actually through -- she's going back for more classes next spring -- it's good to have that first big step behind her. What I'm really thinking about, though, is the time I took her to her first day of pre-school. That was just a year or two ago, wasn't it? Surely it was . . . surely . . . Here's the cover for the third Tales From Deadwood novel, which will be out this winter. We don't know yet if it will also be the final Tales From Deadwood novel. I hope not, because I really enjoyed working on these books. And I like this cover quite a bit. Last year Forge Books published a behemoth of an anthology edited by the late Ed McBain called TRANSGRESSIONS. Ten novellas by a batch of superstar mystery and suspense authors. Nearly 800 pages. Now Forge has split the anthology up into four paperbacks of a more manageable size, and the first one has just been released. I'm not much of a Jeffery Deaver fan. I read THE BONE COLLECTOR and liked it pretty well, tried to read the next one in that series and never finished it, haven't read anything else by him. In "Forever", he introduces a new character, mathematical genius Talbot Simms who works as a statistician for the sheriff's department of a wealthy New York county. Tal, as he's called, has to leave the office where he spends most of his time and actually investigate a series of odd suicides in this story. But are they really suicides, or very clever murders? I think most readers will be able to guess the answer to that question. The characters, especially Tal, are very likable, the pace is breezy, and the plot is so goofy and over-the-top that I didn't believe it for a second. Despite that last comment, I found the story entertaining and liked the ending quite a bit. I am a Lawrence Block fan and have been reading his work for longer than I like to think about. Not so fond, though, of his stories about Keller the hitman. I read the first collection of them and never felt compelled to read more. "Keller's Adjustment" is okay, certainly well-written as always. Block puts words together about as well as anybody in the business. But I just don't care for the character, so I'm probably not a very good judge of this story. I like the novella length, probably because the longer ones, the ones that approach 40,000 words, are about the same length as the old Ace Doubles and the shorter Gold Medals. If you do it right, you can pack a lot of story into that many words. I plan to read the rest of the stories from the TRANSGRESSIONS anthology to see how the other authors succeed at the task. Thank goodness for Lee Goldberg. I was in one of my all-too-frequent reading funks, starting books and then putting them back on the shelves because I couldn't get interested in them, when Livia suggested that I read Lee's first Monk novel. She's reading the second one now, having read the first one several months ago when it first came out. As usual, I'm slower about getting around to things. MONK is maybe my favorite current TV series. MR. MONK GOES TO THE FIREHOUSE does a fine job of capturing the same things that make the TV show so appealing: the twisty plots, the colorful characters, the laugh-out-loud humor. While the plot in this novel is entertaining, its real strong point is the way Lee has nailed the voices of the characters, especially Monk. My funk was forgotten as I raced through this book and had a great time reading it. Despite the good report from the ophthalmologist earlier this week, my eyestrain problem has gotten progressively worse, enough so that I've had to cut back on my computer time. Naturally, slowing down on the work bothers me, but I'm trying to adopt an attitude of doing what I can, when I can, and not obsessing over it. Not easy for me to do, as some of you can probably imagine. I've also had to stop reading as much, which is just as difficult if not more so. I've been a reader longer than I've been a writer. The doctor has recommended a couple of times that I watch more TV, because evidently the eye moves less while you're doing that and therefore has more of a chance to heal. We've been watching a lot of movies lately anyway, and I suspect I'll be watching even more for a while. Haven't seen anything recently that I liked well enough to write about, though. This blog had already gotten a little manic-depressive, with an outburst of posts for a day or two and then back into the doldrums for a few days, so that will probably continue for a while.